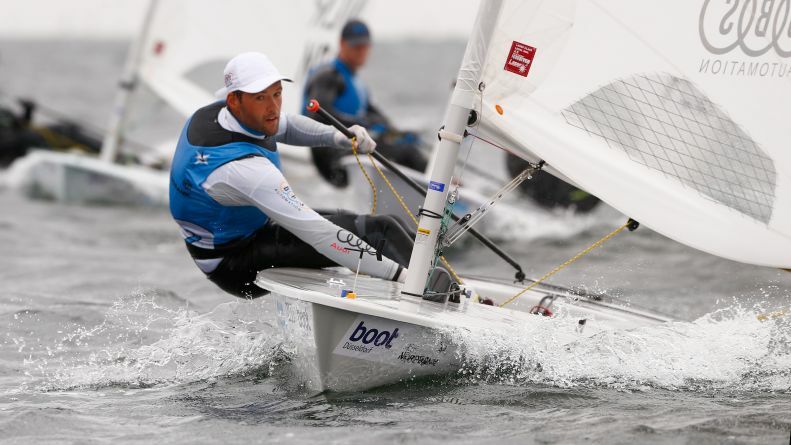 Three Final Races concluded yesterday the qualifications for the Medal Race in rain and fresh winds. With a 15 points advantage, Silvia Zennaro ITA is on a safe way to victory in the Lasers Radial. Nazli Donertas TUR is on rank 2 with a 5 points’ lead on the 3rd-ranked Vasileia Karachaliou GRE. The situation in the Lasers Standard is more open. Karl Martin Rammö EST leads 4 points ahead of Philipp Buhl GER. Herrmann Thomasgaard NOR and Francesco Marrai ITA follow only 7 points behind rank 1.